Moving down the alphabet, the next World Class drum corps to have a speculative fiction element in its show is Genesis. "Retrovertigo" is the show title, which strikes me as a thriller theme, while "None Of Them Knew They Were Robots" by Mr. Bungle and the scene title of Alternate Realities serve as the science fiction elements. I'm not impressed with the strength of the speculative fiction elements, but at least the corps has an interesting graphic for the show. On the other hand, I am impressed with the potential of Oregon Crusaders' 2018 show theme, "Redrum." Here's Oregon! Oregon Crusaders' 2018 production, "REDRUM" will draw its inspiration from the 1980 horror film, "The Shining." That looks interesting. I hope the show lives up to its potential. Santa Clara Vanguard's show "Babylon" may not have an obvious speculative fiction theme, but it has at least two songs that provide strong science fiction elements, "Journey To The Center Of The Earth" and "Metropolis 1927," both by Peter Graham. Both are also strong pieces of music in their own right that fit Vanguard's style, so I'm looking forward to hearing the corps play them. Before I move from World Class to Open Class, I'm giving an honorable mention to Seattle Cascades for including "Around the World" by Daft Punk in this year's show. Any song by Daft Punk includes at least a hint of science fiction, including this one, which had dancing robots in its music video. 7th Regiment is playing a show that may be even stronger in science fact than it is in science fiction. This should come as no surprise, as the show description references physics and a famous physicist. The music reflects the show's emphasis on science fact over science fiction. Yes, "The Abyss" is a science fiction film, so this show qualifies as having a speculative fiction element. Science fact takes over with "Serenada Schizophrana"; the composition's Wikipedia page states that parts of it were used as the soundtrack for the 2006 IMAX film "Deep Sea 3D." 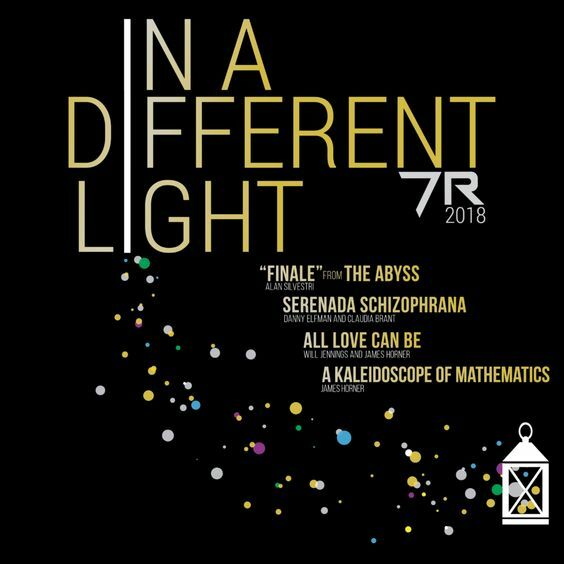 Finally, both "All Love Can Be" and "A Kaleidoscope of Mathematics" come from the soundtrack for "A Beautiful Mind," which is a true story. Yes, it's about mathematics, not science, but scientists use game theory, too. 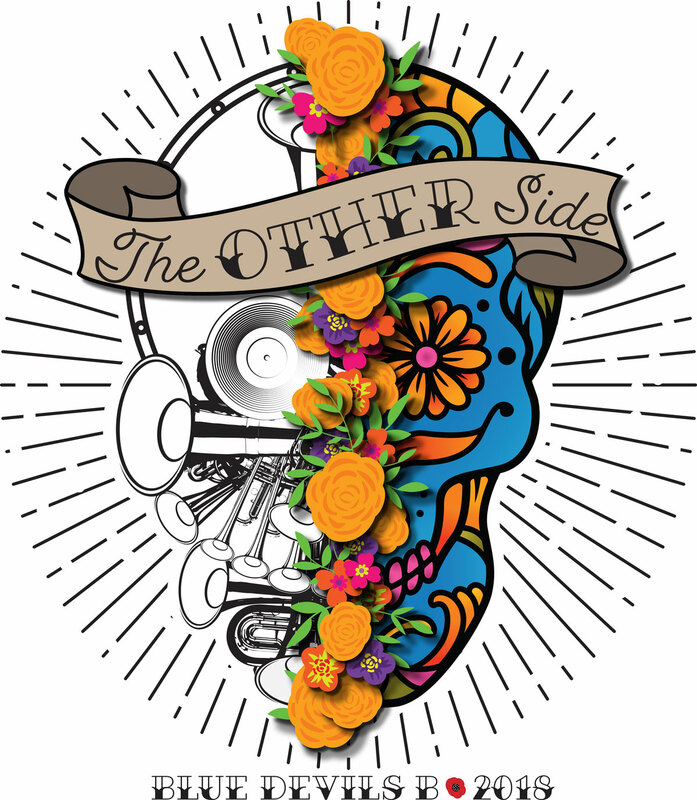 The first three songs in "The Other Side" by Blue Devils B give the show strong horror and fantasy elements with "Danse Macabre" and "The Carnival of the Animals" by Camille Saint Saens followed by "Dead Man's Party" by Danny Elfman. While the rest of the songs do not sustain the speculative fiction element, the graphic used to promote the show as well as the description at the corps web site certainly do. Continuing with California corps, Impulse could have a science fiction show concept with "Time After Time," but the lack of a repertoire, description, or graphic for the show prevents me from giving them credit for the theme — for now. On the other hand, I am giving credit for the speculative fiction elements of the final California corps show. Watch the video announcement from Drum Corps International: Incognito flying off to Neverland in 2018. California Open Class corps Incognito's 2018 production, "Neverland," won't be the usual telling of the story of Peter Pan. Here's to hoping the rock songs work for a Peter Pan show. With the right visuals, they can. After having played shows with strong science fiction themes two years in a row, Legends show this year toned down the speculative fiction elements, playing only two pieces of music with speculative fiction connections, the "Spiderman Theme" by Paul Webster and Robert Harris and "Metropolis Symphony Mvt. 1" by Michael Daugherty. 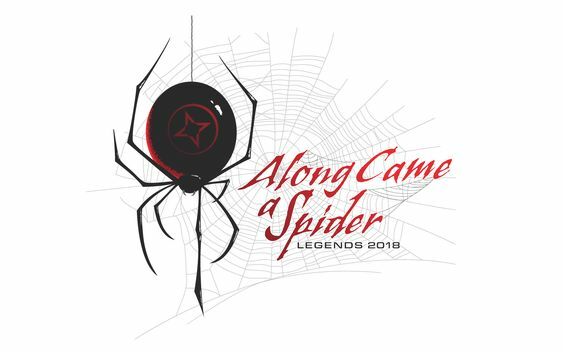 Otherwise, I don't know how much horror or fantasy there will be in the corps' "Along Came a Spider" show, although the image for the show is creepy enough. Besides Blue Knights, the other corps performing a show with a strong mythological theme this year is Raiders 2018 – Beowulf: The Rise of a Legend. Burlington, New Jersey’s Raiders will turn to the classic Old English poem, “Beowulf,” as the inspiration for the corps’ 2018 production. The concept certainly looks promising. As much as I'd like to end this review with Raiders so that I could begin and end with mythology, I feel I must mention one more show concept. Shadow's "The Body Celestial" certainly alludes to a spiritual concept that the music supports, but it could end up being a speculative fiction one as well. Whether that comes off as fantasy or science fiction, only time will tell. Until then, this show goes into the maybe column. *I didn't go, as I'm still not ready to end my decade-long spell of not going to live drum corps shows. Besides, I was beat yesterday and needed the rest. At least I can watch Recap: Six corps open 2018 DCI Tour in Detroit to see what I missed. DCI broadcast host WIll Pitts shares his thoughts on the six competing corps who went head-to-head at the 2018 DCI Tour Premiere presented by DeMoulin Bros. & Co., Thursday, June 21 in Detroit. Based on the uniforms, there might be more corps with speculative fiction elements than I listed above.